We hold different courses throughout the year, although it is also possible to have personalised or individual training adapted to your specific needs. There are specific courses such as courses on hat-making, with feather, cold porcelain, leather, and so on. You will get good training in the craft of the milliner, in the use of different materials and techniques. 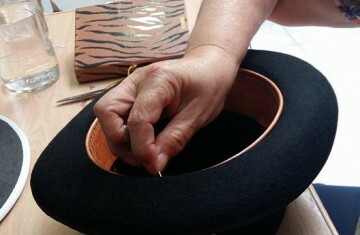 We will teach you the use of different hat-making tools and implements. 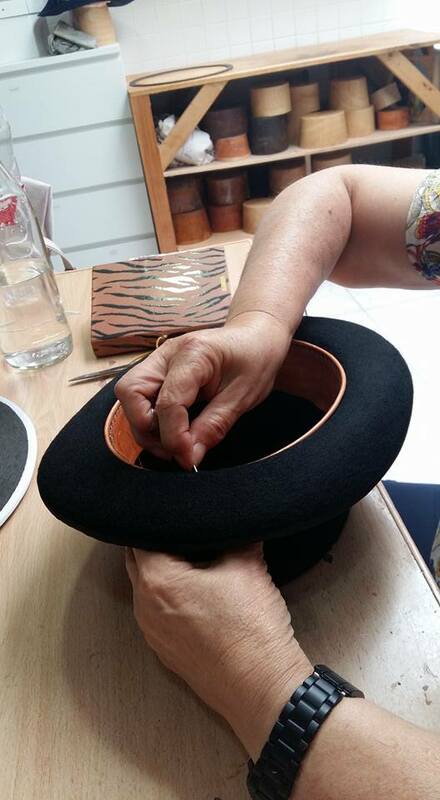 We will make different hats from scratch, going over the process of hand-dying, the preparation of the different stiffeners, shaping, ironing, wire-framing and so on, all designed to help achieve the magnificent finish typical of high-fashion pieces. We work with different fastenings an hat-making to get a better understanding of how wear hats. We work on the creation and placing of different adornments in different materials, always taking great care over the finish of every individual piece. We teach how to differentiate between the different materials, their qualities and their precedence. We also recommend where you can acquire all the materials used on the courses. For more information contact us by clicking here or sending an email to info@eugeniajimenezmillinery.com.